A pain pump is a small catheter inserted into a surgical site, most often in the shoulder, that is connected to a small disposable container taped onto the shoulder that is filled with a long-lasting local anesthetic. Doctors use pain pumps after patients undergo arthroscopic shoulder procedures; the pumps are frequently used after rotator cuff surgery and often after shoulder decompression surgery. The pump slowly and continuously releases the anesthetic over a period of up to five days until the patient removes it. The goal of the pain pump is to allow patients to experience minimal pain in the days immediately following surgery, without the inconvenience of taking painkillers orally or using narcotics. Several companies produce pain pumps today, including Stryker, DJO Inc., I-Flow, BREG Inc., and others. They are marketed under the brand names Stryker Pain Pump, Accufuser Plus, Donjoy Pain Control Device, and I-Flow On-Q PainBuster Pump. The first pain pumps were used in the early 1990s. These early pain pumps contained limited amounts of anesthetic, and the catheters were typically placed in the muscle around the operated area or outside the joint. However, the manufacturers started producing higher-flow pumps and allegedly began encouraging surgeons to use the pump catheters inside the joint space, which is referred to as intra-articular placement. Over the years, the use of these higher-flow pumps placed inside the joint has greatly increased. Pain pump manufacturers have been applying to the Food and Drug Administration (FDA) for approval to change the products’ packaging to include an approved indication for intra-articular placement in the shoulder joint, since 1998. However, each time, the FDA has denied the applications; this means that intra-articular placement of the pain pump catheters is still not an approved use. What is Postarthroscopic Glenohumeral Chrondrolysis? Postarthroscopic Glenohumeral Chrondrolysis (PAGCL) is a painful and permanent condition that results when the cartilage separating and protecting the shoulder’s ball and socket permanently, and either almost completely or completely breaks down and deteriorates. The result is that because the cartilage has broken down, bone meets bone, which causes patients excruciating pain, inhibited movement, and sometimes makes even daily tasks impossible. Although several possible causes of PAGCL exist, the growing belief among orthopedic surgeons is that one of the most common causes is from the intra-articular placement of the pain pump catheter right in the joint space of the shoulder where the arthroscopic surgery was done. In patients who have developed PAGCL, the symptoms typically become apparent three months to one year following the patient undergoing shoulder surgery. Studies began appearing in medical academia as early as 2004 that suggested the insertion of the high-flow pain pump catheters right in the shoulder joint space released a level of anesthetic concentrated in one place that was toxic to cartilage. The following year, an orthopedic surgeon examined several of his own patients who had undergone shoulder surgery and later developed PAGCL; he concluded that what the patients had in common is that they had been given pain pumps. He reported these findings to the medical community, and this set off a flurry of clinical research, the findings of which have just recently started becoming available. A 2006 study by the American Academy of Orthopedic Surgeons and an October 2007 study by the American Journal of Sports Medicine both suggest that a strong link exists between intra-articular use of pain pumps in the shoulder and patients developing PAGCL. The American Academy of Orthopedic Surgeons study looked at 152 patients who underwent arthroscopic shoulder surgery. Twelve shoulders of ten patients developed PAGCL. All of them had been treated with a higher-flow pain pump that had been placed in the shoulder joint. Seven other patients were treated with the catheter but did not develop PAGCL. The intra-articular placement of the pain pump catheter was the only thing the ten PAGCL patients had in common. The 2007 American Journal of Sports Medicine study suggests that PAGCL may be caused by too much medication is being dispensed to the area where the cartilage lies. The study suggested that as many as 63 percent of patients who are given a pain pump placed in the shoulder joint are susceptible to developing PAGCL. As the use of higher-capacity pain pump catheters with intra-articular placement has increased, so have the incidents of PAGCL in these patients. This has resulted a flood of litigation against the companies that manufacturer these pain pumps and the manufacturers of the anesthetic drugs that the pumps administer. The lawsuits filed against the manufacturers allege that they know about the risks of intra-articular placement of the pain pump catheters, and despite that knowledge, encourage surgeons to use the catheters in this manner. The suits also allege that the companies that make the anesthetics did not investigate the danger of their drugs being continuously injected right into a joint over a period of days. Lawsuits have been filed around the country, and in May 2008, a petition was filed with the Judicial Panel on Multidistrict Litigation to transfer, coordinate, or consolidate all of the product liability actions pending in federal courts around the country regarding the intra-articular use of pain pumps. When the petition was filed, it said there were 13 different cases pending. Since then, however, at least three more Federal cases have been filed and there are potentially hundreds or even thousands more cases that may be filed in the near future. If you or a loved one had a pain pump implanted after surgery, and have experienced any of the symptoms mentioned in this article, you may be suffering from PAGCL. Seek the advice of experienced legal counsel to determine your options and to preserve your rights. Magaña, Cathcart & McCarthy is currently investigating potential claims involving pain pumps and representing clients in pain pump cases throughout the United States. 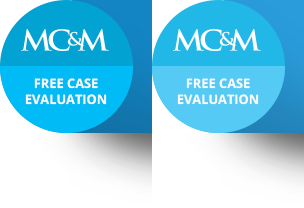 Contact Magaña, Cathcart & McCarthy for a free evaluation of your case.